Unmatched design, versatility and performance are what set the Black Swamp Multisonic Series of Concert Snare Drums apart from all others and make them the world’s most definitive orchestral snare drum available today. 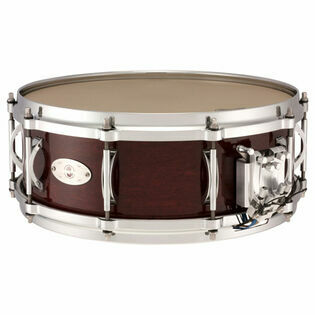 The 14″×5″ Multisonic Concert Snare Drum features a 10-ply, 100% Maple shell which produces a rich, warm sound with the presence and sensitivity needed for a full variety of musical situations. The precisely machined bearing edge, consisting of an inside 45 degree and outside round-over design results in a full balanced tone with more body and projection than the typical 45 degree double edge. The snare bed is cut shallow and wide for maximum cable contact spanning the entire head, thus increasing the snare response throughout the entire dynamic range of the drum. This series also features 10 exclusive arch base tube lugs that are a modern twist on a classic design. These lugs are die-cast and manufactured with the precision that only Black Swamp can do. Finish this drum off with the Black Swamp Die-Cast hoops, which stay in tune longer and focus the drum’s sound for projection and added tonality, and you have a professional series concert snare drum that is unmatched in today’s market. The Multisonic strainer features five separate snare units that can be activated individually, utilizing cable and wire snares for multiple timbre possibilities. By adding or subtracting the different snare units, the player can dramatically change the timbre of the drum within seconds without the need for any tools. The 5 snares included with the Multisonic Series include the 6 strand gold cable unit, 8 strand blue cable unit, 8 strand stainless steel cable unit, 5 strand wire wound unit and the 4 strand curly wire unit. The thickest cable type, responding best at loud dynamic levels. The dry, throaty character of this material type is similar to the traditional gut snares. Not as thick as the Gold version and responds best at medium to loud dynamic ranges. The dry character provides both articulation and volume. Responds best at soft to medium dynamic ranges. The bright, wet character balances the drum's overall volume. Responds best in the softer dynamic ranges. The crisp, bright character provides the greatest sensitivity and response. Responds best at softer dynamic ranges. The bright character provides sensitivity with a snappy timbre, which is a great compliment to the wire wound unit. The Multisonic Series Concert Snare Drums are available in three beautiful, high gloss lacquered finishes: Concert Black, Cherry Rosewood and Walnut. Each of the three finishes is applied in a special process that is designed to not only look beautiful but also to last over the lifetime of the drum. Includes free padded snare drum bag and chrome drum key. I was pleased to receive this drum, it has a nice sound and it's really workable to whoever is using it. It's a fantastic general-use drum, and it's worth every penny. The strainers sing really well and the resonance and articulation from the drum is great (even more so with an M5 and an Evans Orchestral Reso). Mine originally came with a messed up strainer adjuster, so I contacted Tim from Black Swamp and got a new replacement part!! The service and professionalism was fantastic, if there's ever something wrong these guys got your back. Fantastic drum, get it.. Like, now!! 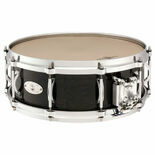 Awesome drum, tremendous sound, and so many possibilities of snare combinations! It's a total slam dunk!! Buy it now! I love my Black Swamp multisonic. It has such a big sound! I'd buy another in a heartbeat (if I had the money).